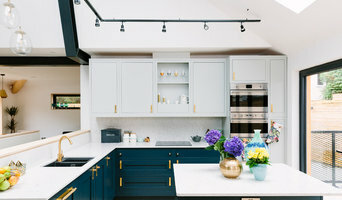 Harvey Jones has been making beautiful handmade bespoke kitchens for more than 40 years, designing and building kitchen solutions to order, to the exact specification of our clients. We are well known for not only our timeless quality craftsmanship but for our exceptional level of service to each and every one of our customers. 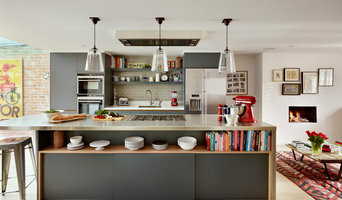 Whatever your taste, we offer a kitchen design that will suit – from our popular Shaker kitchen range and Linear kitchen range, to modern and contemporary kitchens and Arbor kitchens. Visit one of our London showrooms today! We'd love to help you design your dream kitchen. Multi-award winning British company Roundhouse, design and manufacture (in UK) luxury, bespoke kitchens, bedrooms and other furniture. Roundhouse comprises of independent designers, architects and craftsmen whose approach embraces the house, the home and the whole creative process – from concept to completion. An architectural and interior design practice with projects in the UK and the South of France. We speak English, German, Polish and French. We love working both in Greater London and the South of France equally, and are happy to travel (and are) worldwide! Scroll down for more about us in English and in French. VORBILD Architecture is a RIBA Chartered Practice and registered with CROA in France specialising in architecture and interior design, landscape design and project management from start to finish. We understand your home is your sanctuary. Our friendly team’s aim is to improve your life by optimising that space. Our professional service gives exceptional design solutions, whatever your scope of work or budget. VORBILD Architecture is experienced in all aspects of the design and build process – don’t think of us just as your architect and/or interior designer, but rather a trusted advisor in all matters relating to design and construction. We work in a partnership with our clients with some wanting to be involved every step of the way, others prefer us to manage their project – so they can continue with other commitments. Our service begins with your ideas; contact us to discuss your next project! —————————————————— VORBILD Architecture est une enterprise spécialisée dans l'architecture, le design d'intérieur, l'aménagement paysager et la gestion de projets entiers du début à la fin. Nous comprenons que votre maison est votre sanctuaire, c’est pourquoi notre équipe chaleureuse a pour ambition d’améliorer votre quotidien en optimisant cette espace. Nous vous offrons des solutions design quel que soit la taille du chantier ou votre budget. VORBILD Architecture s’implique dans tous les aspects de design et de construction de votre projet. Nous sommes aussi des conseillés et vous aidons avec vos problématiques. Nous savons nous adapter à nos clients : certains préfèrent être impliqués à chaque étape du projet, d’autres préfèrent nous laisser gérer. Notre service commence avec vos idées. Contactez-nous et discutons de votre prochain projet. Nous parlons Anglais, Allemand, Polonais et Français. We strive to produce elegant homes which our clients love to live in. They are created using skilled design, sustainable detailing and an unparalleled knowledge of superior home building. We are a team of residential architects, designers and technicians who produce award-winning homes. We provide a full and dedicated service starting from outline proposals, design, planning permission, detailed design to site management and final completion of your project. Des is the principal of the practice, which specialises in the design and creation of luxury homes. His distinctive, contemporary, classical style has proved popular with discerning clients. He and his team have built up a vast knowledge and experience of building and renovating luxury residential properties to the highest standard of detailed design and finish. Des is a chartered architect who loves to design beautiful houses. After working for five years in a private practice, he left to become a builder. During this time he project managed, built and laboured on three large bespoke houses, full time. As he was responsible for ordering every last screw and ensuring that the homes were delivered and fitted properly, it would be true to say that he knows houses inside out. The Wood Works is a 4th Generation family run business who design, manufacture and fit beautiful kitchens, bedroom and home fitted furniture. We are known for offering a truly bespoke service, paying close attention to detail to ensure you end up with the room of your dreams! Our goal is to have an end product that our customers are delighted with. Our client focussed approach means that we can design a room that truly fits your family’s lifestyle. Whether fusing metal, glass and stone, or simply working with exotic hardwoods, The Wood Works will always be on hand to guide you through the process and push the boundaries in terms of materials being used and designs being offered. We are proud of our 4 generations of craftsmanship and quality, with attention to the smallest details. From the initial design to completion, we provide a project management service that is second to none. From single rooms to complete houses, our clients come back time and time again. Its recommended by agents to present your property looking the best it can to increase traffic on the listing and enhance photography & viewings. Whether its your home, or a show home, property dressing improves interior presentation. 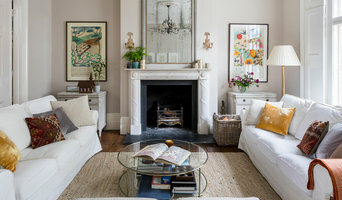 The interiors can make a huge first impression for people looking at your property - both online listing and when viewing. Cullum Design will transform empty spaces into beautiful living areas which will appeal both in photography and viewings. Great care is taken to take into account the target market for the property and this will be reflected in the dressing of the spaces. 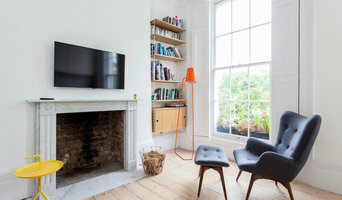 With an experienced in house team of interior stylists, designers, porters, picture hangers and more. Cullum Design can turn projects round within tight time frames whilst offering an exceptional service. Cullum Design owns a large stock of items - which is being continually added to - and does not hire in from other companies. Experienced at working with a range of clients - from celebrities to developers to home owners that live abroad - each project is approached in a tailored way. We work to our clients brief and budget to ensure that they gain the maximum from their investment. Projects have ranged from large period townhouses, country houses, loft apartments to new homes and show flats. 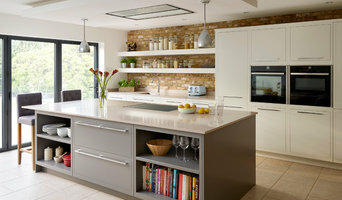 Please take a look at our website with recent projects, where you can also download our brochure. Call Natalie on 07866 453 831 to discuss your project. <a rel="nofollow" target="_blank" href="https://www.cullum-design.com">https://www.cullum-design.com</a> @CullumDesign Contact us to see how we can help you style your property so it looks its best! OFFER - after the 8 weeks minimum hire period we are offing a 50% discount on the weekly hire fee. BathroomsByDesign is one of the UK's leading bathroom design and supply specialists. Our aim is to ensure our customers achieve bathroom excellence at affordable prices. Contact us today about your bathroom renovation, or check out our products on the Houzz Shop! With over 100 years of collective industry experience and working on prestigious projects the V&A Museum, we know what it takes to deliver a high quality service, providing affordable luxury to our clients. We also know that starting a new bathroom project can be a daunting experience, but with our expertise, guidance and know-how, we can help you maximise your space and ensure you get the bathroom of your dreams. Furthermore our pioneering virtual reality design technology allows you to visualise your bathroom before you buy - just get in touch and we can show you how easy it is. Contact Us today for a free design consultation suitable for almost any budget! But before you start sending out dozens of emails and making phone calls, sit down and think about your project. What's your budget? What is the scope of your project? Will you need more than one type of professional to complete your home improvement project? Can you afford to complete the full project now, or should you tackle it bit by bit? Reach out to multiple professionals — especially for larger projects — and don't settle for the first quote you receive. Comparing multiple professionals' quotes and experiences can help you find the one that’s best for you. Ask a lot of questions now, so you won't have unexpected answers later. Find a home design professional on Houzz. Narrow down your search by type of professional and location. Browse portfolio photos, read client reviews and contact each home improvement professional for more information. Check out the information in the specialised professional sections too for tips on how to hire the right professional for your project.